These test strips are for the rapid and reliable determination of quaternary ammonium compounds (QUAT) in solutions. The easy dip-and-read-procedure provides a reliable result within 15 seconds. QUAT based disinfectants are frequently used for the disinfection of medical devices, surfaces and closed cooling cycles. QUANTOFIX? QUAT test strips allow convenien monitoring to decided, if the concentration of the disinfectant is sufficient. This ensures an optimal disinfection. The QUAT test strips are calibrated for Benzalkonium chloride. The instructions contain conversion factors for many other quaternary ammonium compounds. QUANTOFIX? QUAT test strips are the perfect tool to monitor the QUAT concentrations in a solution. 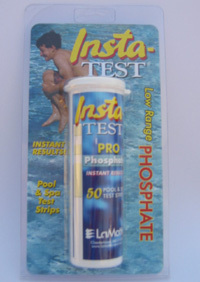 The test strips proivde safe results quickly and easily. Vial of 100 strips. Gradation 0 ? 10 ? 25 ? 50 ? 100 ? 250 ? 500 ? 1000 mg/l Benzalkonium chloride.